A two-year-old Melbourne boy yesterday become the latest backyard pool drowning victim – the same day that figures were released showing that one in 10 drowning in Australia involve pre-school aged children. 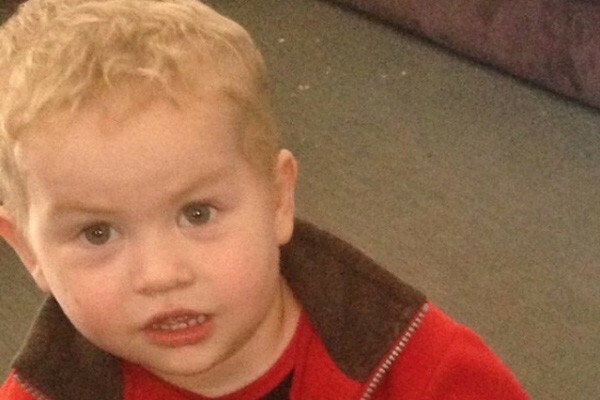 Lisa Carter found her son Elijah (pictured) floating in a friend’s backyard pool in Melton, west of Melbourne, yesterday. The toddler could not be revived. A fund has now been set up to help his devastated family pay his funeral costs, as authorities investigate whether a faulty pool gate may be to blame. Elijah’s death came the same day that the Royal Life Saving Society Australia released its national report showing 26 other children younger than five died from drowning last year. The National Drowning Report reveals that home swimming pools accounted for more than half the drowning deaths of young children – so what can you do to protect your family? When the weather heats up in Australia, we head to the water. Be it the beach, river – or if you’re lucky enough, your own backyard pool. We grow up being taught about water safety. We all know that we should never take our eyes off our children when they’re in or around water. We know pools must be fenced. Yet somehow, children keep dying. There’s been a 30 per cent spike in the number of children aged four and under who drowned in Australia in the past year. Royal Life Saving Society Australia CEO, Justin Scarr says it’s alarming. “Active adult supervision and restricting access to water, through properly installed and correctly maintained pool fences, are key strategies to reduce these tragic child drowning incidents,” he says. There were no drowning fatalities of children aged between 10 and 17 years, and Royal Life Saving says this highlights the importance of basic swimming and water safety skills. If you have a backyard pool, take the time to go through Royal Life Saving’s safety checklist.